During the recent state budget impasse, Illinois colleges and universities have been forced to scrape by without state funding, except for stop gap money designed to keep them open through the fall semester. But that may not satisfy accreditation agencies. 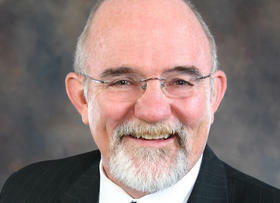 James Applegate, director of the Illinois Board of Higher Education, says the Higher Learning Commission may just home in on the fact that Illinois schools are missing what schools in other states have: a solid budget. The IBHE is proposing a plan where schools would promise certain outcomes in exchange for the state providing a basic level of funding for three years. Accreditation is necessary because if a school doesn’t have it, students cannot get federal students loans and their credits won’t transfer to other accredited institutions. "Obviously it’s welcomed in the sense that it helps our institutions stay open into the fall, but it certainly is not the solution. This doesn’t help us in terms of being able to plan for an academic year. It leaves us in a state of flux and uncertainty, and even with this funding and the April funding, if you were to look at what the higher ed system received in (fiscal year) '15, before all this started, even after that budget was cut toward the end of the year, and you just said, 'Well let’s assume a reasonable budget would be in (fy) ‘16 and (fy) ‘17 we had that ‘15.' So ‘15 times two. The current amount of money that’s been given to our universities is less than half of that. So this is supposed to carry them for 18 months. Then it is good that we finally paid the bills for the MAP (Monetary Awards Program) students last year, but there’s no certainty for next year, and ISAC (Illinois Student Assistance Commission), who administers the MAP program, is saying MAP applications are significantly down. So there are thousands of students who are just deciding why bother? Why should we go to college?" "Layoffs, I would predict, will continue, in part because institutions not knowing what the spring holds, just in order to prepare, are going to have to continue to think about what would we do if this is it, how would we survive through the spring and go on? So we’re still in a pickle. And we are grateful -- we are grateful, I’ll use that word -- for the funding and the bi-partisanship that produced the funding. As we said in April, when they put even a smaller amount out, we’re hopeful that that will carry forward and we’ll get a real budget and Illinois will do what the other 49 states do, which is pass annual budgets." "Uncertainty for any investor -- whether it’s a parent investing in a student, or an adult learner, wanting to come back to school and use their hard-earned money to get back and get a degree, or it’s a large-scale bond investor -- uncertainty is never a good thing. No investor likes uncertainty. And we’re still in a situation of great uncertainty." "I feel like we were on the boat headed for a distant shore, which was 60 (percent of the Illinois workforce holding degrees) by 2025. And the first year or so I was here, we were trimming the sails, building capacity, figuring out how we move faster and get there, and then somewhere in the middle of the night, someone knocked a hole in the bottom of the boat. And so then our priority had to shift from looking forward to get to the shore to not sinking and drowning. "These two stop-gap bills help us some, but we still need that stability. And that’s why the Illinois Board of Higher Education, in its budget proposal presented in December of last year, to the governor and legislature, called for foundation funding in (fy) ’17 to stabilize the boat, stop the bleeding, whatever metaphor you want to use, and then bring the higher ed leadership and the state leadership together to create what we’re calling the Illinois Higher Education Compact. "And a compact is a trusting relationship where the state will publicly commit to do everything it can to stabilize robust funding for higher ed, and higher ed in exchange for that will agree to embrace some metrics that we’re ready to come forward with around being more efficient, being more effective, having better student outcomes. So we’ll commit to making that investment even better, our return on investment even higher. And then we’ll set that up for three years or a multi-year period, come back and look at how we’ve done, and move forward. We need to get that stability re-established so people can plan."